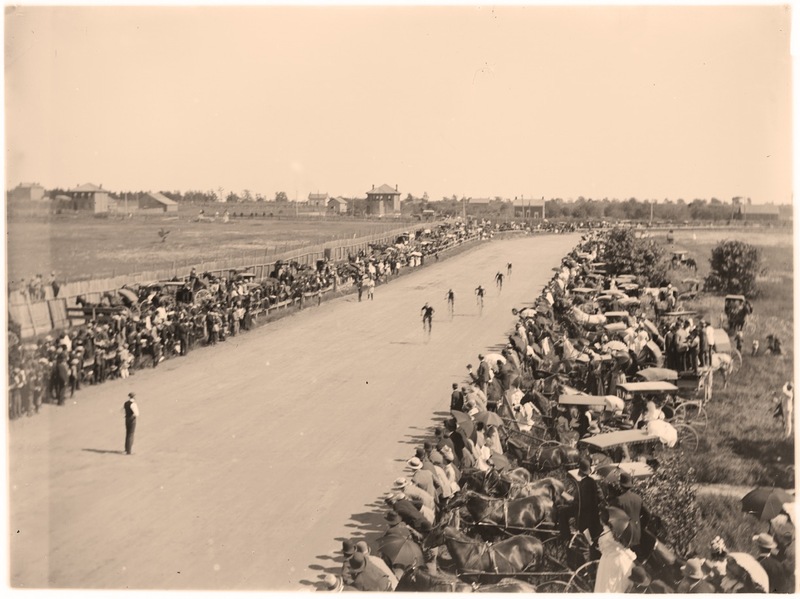 Did you know, Peterborough held the first ever provincial meet of the Canadian Wheelman's Association on July 1, 1898. In 1898, Peterborough is a city of possibilities. Growing, prosperous and attracting new industry, the community is called ‘The Electric City" as Canada’s first municipality to use electric streetlights. In the 1890s, the bicycle represents technology, modernity and progress and Peterborough’s civic leader’s see those traits in their own community. It’s only natural they want to host the Canadian Wheelmen’s Association’s Ontario meet. By the time the two-day meet begins with an one-mile amateur novice contest, an estimated 7,000 people have assembled. Amateurs and professionals compete for titles in 17 different categories, including half-mile, two-mile tandem and three-mile team. Clubs complain that spectators spilling on to the course are causing spills. The weekend features bicycle parades, trick riding, concerts, fancy dancing and spontaneous outbreaks of “Rule Britannia,” and other ‘patriotic’ songs. The Toronto Star writes that one notable feature of the meet is “the absence of excessive drinking.” CWA members overindulge instead, in setting off fireworks. Several fires occur, but the fire department extinguishes them before "real dammage" occurs. Or pop by the pop-up version of The Bicycle Museum at B!KE on George St. to see the images and our fabulous replica high wheel bike in person. More Pop-up launch info here. These images are from the Peterborough Museum and Archives Balsillie Collection of Roy Studio Images. The image at the top features a high wheel bicycle race held at the Ashburnham Cricket Grounds circa 1890. 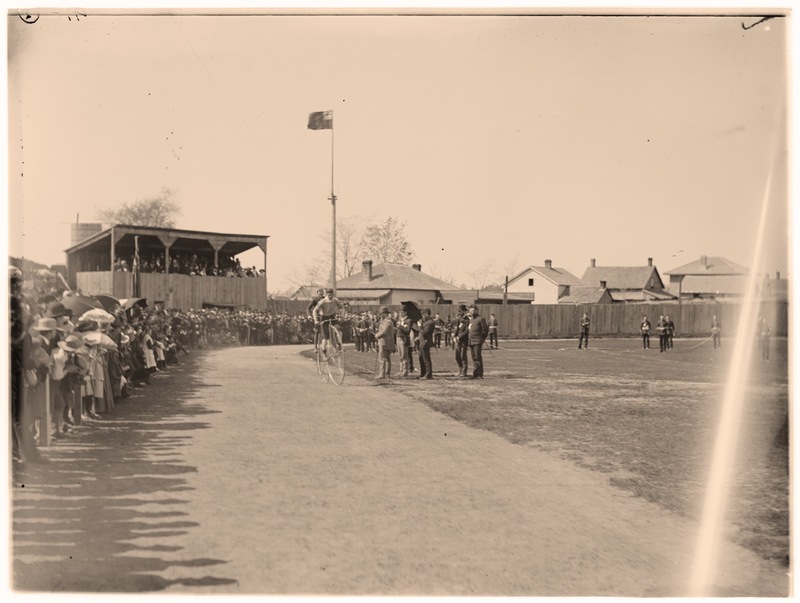 The image directly above was thought to be of a race at Morrow Park in Peterborough but is in fact most likely from the Niagara region. Do you know more about these images? Please email thebicyclemuseumptbo@gmail.com or come to one of our pop-up events in Peterborough, Ontario. The first pop-up event was on Friday, Nov. 2, 2018, from 5-8 p.m. at B!KE and was sponsored by Steamwhistle. On December 3, 2018, the pop-up rolls on over to the Peterborough Public Library!